1. How did Embrace Sweets come together/originate? My mother (Sandra) and I began Embrace Sweets in 2004. She was fed up with her current job and I was feeling burnt out at mine. We come from a long line of amazing bakers but no one in our family ever made it into a business, and so my mom and I decided to take our love of baking and share it with the world. Before we officially started she completed her culinary degree from Le Cordon Bleu in Pasadena and worked briefly for Wolfgang Puck and the Santa Anita Race Track. It was these experiences that showed her just how much she loved it and this was what she wanted to do. 2. 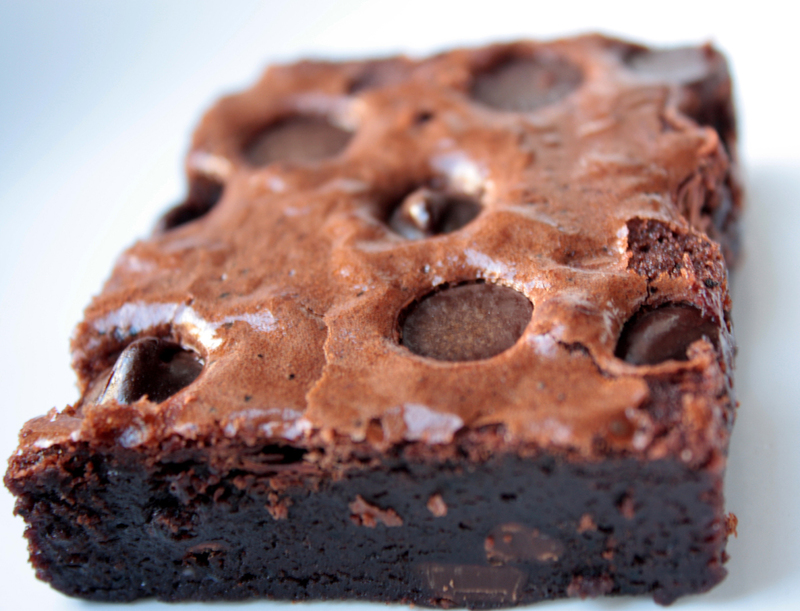 What separates your brownies from the competition? Ironically brownies were the first things my mother learned to bake when she was little - and to this day (even after the hundreds of thousands that she's baked) they still remain her favorite. We consider ourselves brownie connoisseurs, there are really only two camps when it comes to how brownies should be - Moist and Fudgey! or Cakey and Chewy! 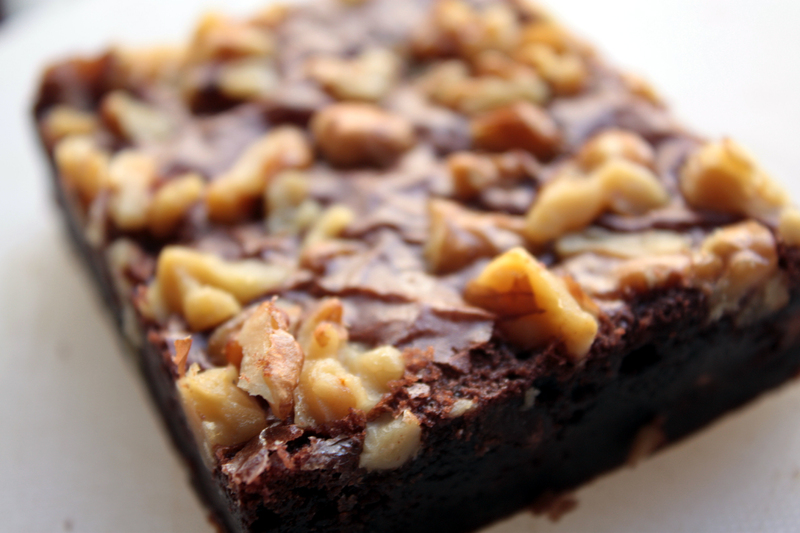 Our brownies are definitely on the moist and fudgey side. We've been amazed that after all these years, people are still shocked at what you can do with a brownie (or blondie), they are extremely universal as you'll see with our varieties. Some of them we do just add a topping (for example, crushed Oreos or Reese's Peanut Butter Cup) or two to them; but for most of our brownies there is a science to it - it may be a beautiful combination of fruit compote and exotic nuts, spices and savory cheeses, balsamic macerated strawberries and Valrhona dark chocolates. Flavors like our Chai Tea Latte, Mascarpone Dulce de Leche and French Toast - you're not going to find any where else. Brownies, like cupcakes, are like blank canvas and you can make them what you please. And just on a side note, because I know some people my ask - What is a Blondie? 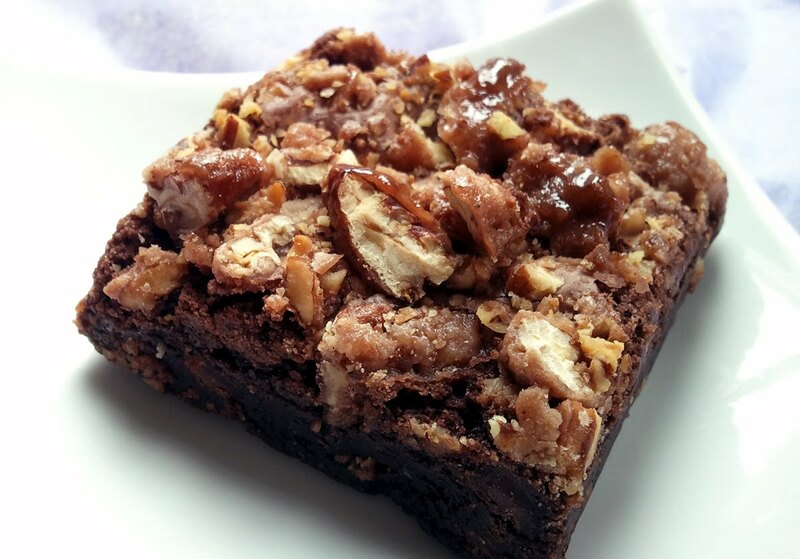 Our blondies are a butter and brown sugar base as opposed to a brownie which is all chocolate base. This means they are super buttery, smooth yet crunchy along the sides and corners. 3. Are there any other brownies/desserts you dig in LA? OMG! Yes we have such major sweet tooth's and we definitely don't limit ourselves to just our brownies. There are SO many fantastic desserts, dessert places in LA and beyond. Right now we're definitely cruising on Coupa Cafe (Beverly Hills) for their Tres Leche Cake, it is hands down the most amazing, most moist, most flavorful version of this cake I have EVER tasted. It's almost pudding like but wonderful. I love it served with one of their strongest coffees, only because it really mellows out the flavors and gives it a wonderful contrast! I have to say I'm tied between Crust and I Heart Pies when it comes to my pie fix - I'm a sucker for the traditional Apple pie, love Blueberry, adore Blackberry and sometimes you just want to venture out and try something funky too. These two companies know what they're doing and do it well! They are also both local, small business owners and as sweet as well... Apple pie! For a really special treat (special occasions) I love going to the Peninsula Hotel, in the Piano lounge they have the most wonderful Creme Brulee and to pair it with an Earl Grey is truly the perfect end to a day. 4. What's your eventual goal with E.S.? Embrace Sweets is our baby, so naturally we want to see it grow. We'd love to have our brownies in some really great locations around town and eventually grow into having our own 'Brownie Boutique' (think Sprinkles but with brownies). For now, we're loving the farmers' markets, being able to see people take that first bite and their eyes roll back into their heads, and our website which has been around from the beginning is really doing great and it's really cool knowing that someone is Rhode Island is loving our brownies! 5. What do you think of stupid people who say they don't like brownies? Wow! That's kind of harsh. 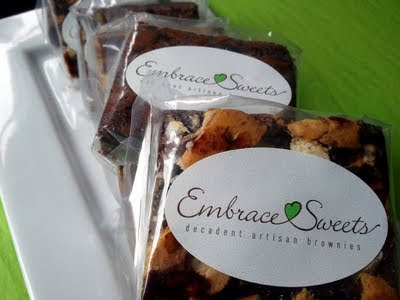 I wouldn't call them stupid, BUT we have honestly converted many a brownie-hater into true Embrace Sweets Brownie lovers. It never fails, it just takes that one bite to change your mind - but you got to be willing to go there first and take a chance.